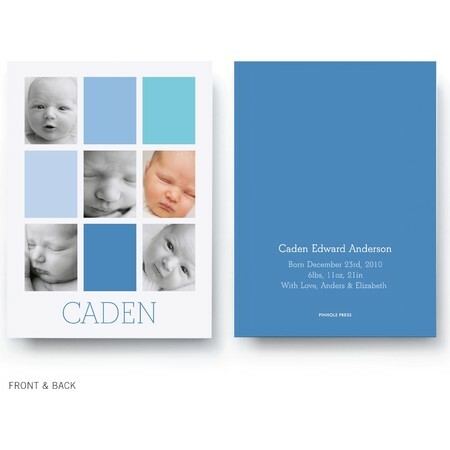 Our whimsical Color Collage birth announcement features five of your favorite pictures, punctuated by effervescent bursts of color. It's the perfect way to capture your beloved babe in all his (or her) glory. Choose some favorite photos, add your info, and go - it really is that simple.